I am so happy to introduce you to precious little Karina! She is so tiny and wonderful. I had the wonderful privileged of meeting and photographing her mommy and daddy a few months before she was born. I enjoyed her parents so much, so it was no surprise that their little darling was just as wonderful. I thought Karina looked like a little matryoshka doll in these photos. 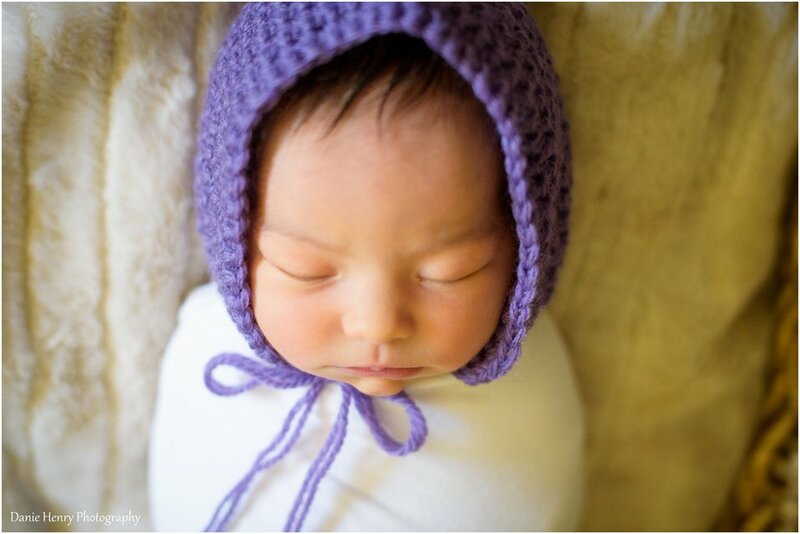 She was wearing one of my favorite bonnets and was swaddled so sweetly. I loved taking this photo! Karina was born a few weeks early and decided to make her grand entrance on Christmas Day!!! Isn’t that the best? She was surely the best stocking stuffer this year! Look at that proud poppa! You can tell that he’s so happy to be able to have his baby girl in arms! RaeAnn is the best mommy. She is doing such a beautiful job of caring for and loving her little Karina. Her baby girl is soaking up every moment of it. The two are destined to be the best of friends. Grandpa came to our session. He’s visiting from out of town to meet this little bundle of joy. There’s nothing so precious as a grandfather in love with his grand daughter. Congratulations Rae and Carlos! I can’t tell you how happy I am for the two of you. Your little Karina is such a precious blessing. You are both already beautiful parents. Have a question? You’re welcome to ask away! Just fill out this form to contact me. I’ll get back to you right away.